MultiSpot Plus™ is a small multi-seat PC that allows up to 50 screens, mice and keyboards to be attached via ethernet cables and a switch. All components are small, lightweight, very low cost, extremely energy efficient and operate on 12 volts (to run on solar power/batteries). Desktop and internet sessions can be managed over the MultiSpot cloud. 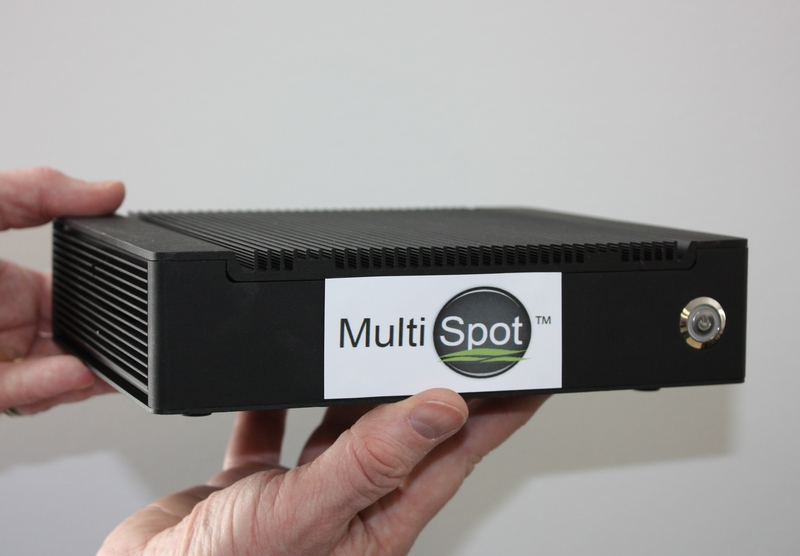 The MultiSpot Plus™ is ideal for deployment in hotels, hostels, schools, rural internet kiosks, and other commercial outlets. MultiSpot Plus™ also comes with a wide range of educational software pre-installed. MultiSpot Plus™ is designed to run on 12 volts with very low power consumption. The system has been especially designed to run with minimal power consumption, cutting down significantly on energy costs. Our small MultiSpot Plus™ unit provides everything necessary to retail multi-seat desktop use, multi-seat desktop internet access and wireless internet access from customers' laptops or smartphones with no other hardware required and no staff intervention. It simply plugs into fixed broadband or a satellite terminal and it will provide metered desktop, internet access and also distribute wireless internet access - all on a pre-pay basis. This can be used for profit generation or for self-funding of development projects. 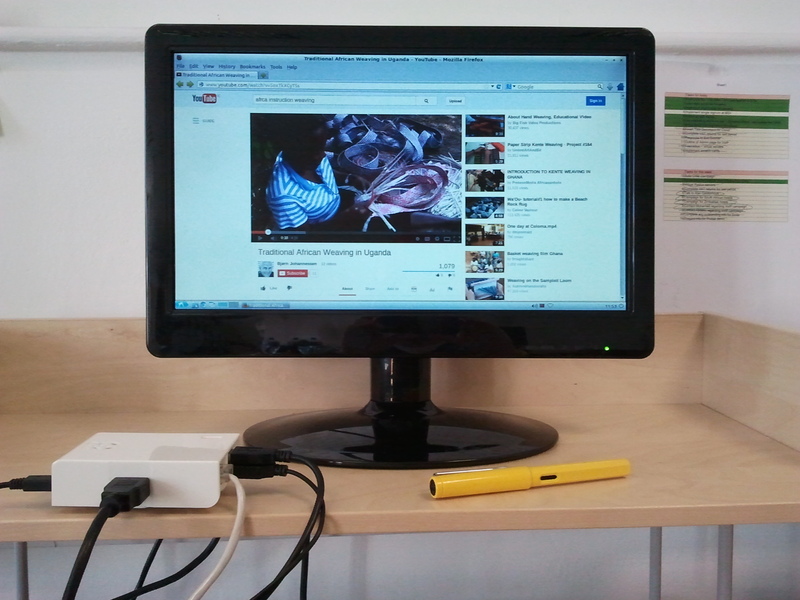 Desktop use can be offered free or free for limited periods in order to ensure fair access. It supports a range of languages, currencies and payment options such as credit / debit cards, scratch cards, mobile phone credit and even cash. Customers are redirected to a ''Welcome' website where they can login with their own credentials, buy more credit, or set-up a new account if this is their first visit. There is also facility for operators to sell local featured products or services on the left column, right column and bottom of the login screen. The MultiSpot Plus™ system collects all statistics relating to internet usage, which means that you can sell access on a per time basis, or on a per network throughput basis, or by a mixture of the two. For example, you might want to sell one month's access with a download limit. After one month or after the download limit is reached, whichever comes first, the user will have to buy more credit. The database is in the cloud so that if a customer buys credit at one of your hotspots, they can use that credit at any of the other MultiSpot™ or MultiSpot Plus™ sites. The system also produces full sales reports for your administration, so there is no credit risk from staff. Everything that has been sold will be matched against cash or other receipts. You can easily manage the system remotely from any location.